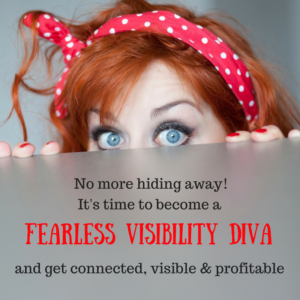 It’s Time To Be A Fearless Visibility Diva! You didn’t start your business to run an expensive hobby. You started it to serve other people and make a good living along the way. You’ve given it so much already, and are ready to give it more. After all, you know deep down this is what you’re meant to do. 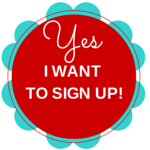 Woohoo, you’re SO ready to become a Visibility Diva and overcome ANY hurdle on the way. Those fears and doubts that surface any time you’re about to press “publish” or “go live”. Those negative thoughts that are stopping you from showing up for your clients fully. Those visibility fears that are forcing you to play small. Enter Fearless Visibility Divas – the 6-module journey to become a fearlessly visible, fiercely profitable, and hugely impactful solopreneur. Yes, this course contains exactly what I teach my clients so they can earn extra 4k in 2 months, and exactly what I did to turn my expensive hobby to a profitable business that feeds my both my heart and family. And yes, this course will help YOU to stop messing around, get your business SEEN and PROFITABLE. NOW is the time to get serious about your business. Even though everyone knows that being more visible means that people will find your business, they don’t always work on their mindset blocks that are holding them back. I know. I was one of those people too. You know how amazing it is when you get new clients into your business. Every service-based solopreneur knows that while we want to serve, we also want to make some money from our business, and not just have it as an expensive hobby. The biggest problem is that people are scared. It can be super scary being visible in your business, but like me, you know that if you want people to know your business exists, you’ve got to start shouting out about it honey, because no one else is going to do it for you. You see other people doing videos and think that would be a great idea, but ugh the thought of doing a video terrifies you, and Facebook Live – wow! The mistakes you could make doing those! Not only that, but there’s so many ways that you can be visible. Where do you even begin? And then there’s that comparison-itis thing that you suffer with, where everyone is triggering you because you perceive them to be better than you, further ahead of you, or getting better results than you. That means that you just don’t put yourself out there at all, for fear of what people might think or say about you. My niche is visibility, so one thing I have to do is show up! Sounds great, but the irony of the niche I’ve chosen is that I’m an introvert and so promoting my business hasn’t always been that easy for me. I also find that being visible takes up a lot of my energy. I’ll have a burst of visibility and then need to go and have a lie down as a result! The tough part of this isn’t always the business bit, but the massive mindset blocks that get in our way. I’ve had to work really hard on my mindset so that I don’t just hide away. When you’re running your own business, mindset work is a BIG part of the results that you get. If you don’t believe in what you do, then why would others want to buy from you? I’ve tried all sorts of different strategies to help me overcome my fears. Someone actually asked me jokingly recently, whether I was the same person they knew from 4 years ago, where I was too scared to share what I do and how I help! We always underestimate how far we’ve come, don’t we? What I know is this … being visible creates results. I’ve had some amazing results in my business by working on my fears, and being more comfortable with being visible. My clients have too. One of my 1:1 clients has been taking loads of action on her visibility, and set herself a challenge to ‘beat’ another one of my clients that had earned £3k in just 6 weeks of being visible. 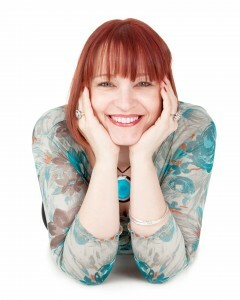 She achieved a whopping £4k in less than 2 months, how fab is that?! What would you do with an additional £4k in your business? Really think about it! What difference would it make to you? What would you spend it on? Maybe some more learning? Maybe take some out to treat yourself?? So, you can keep plodding along on your own and let your fears hold you back so that you either a) end up going back to a ‘proper job’, b) have a hobby instead of a business, or worse c) lose your confidence and end up doing nothing or you can make the decision to work on your mindset blocks and start creating your fabulous business. Remember, you have the choice to create what you desire. 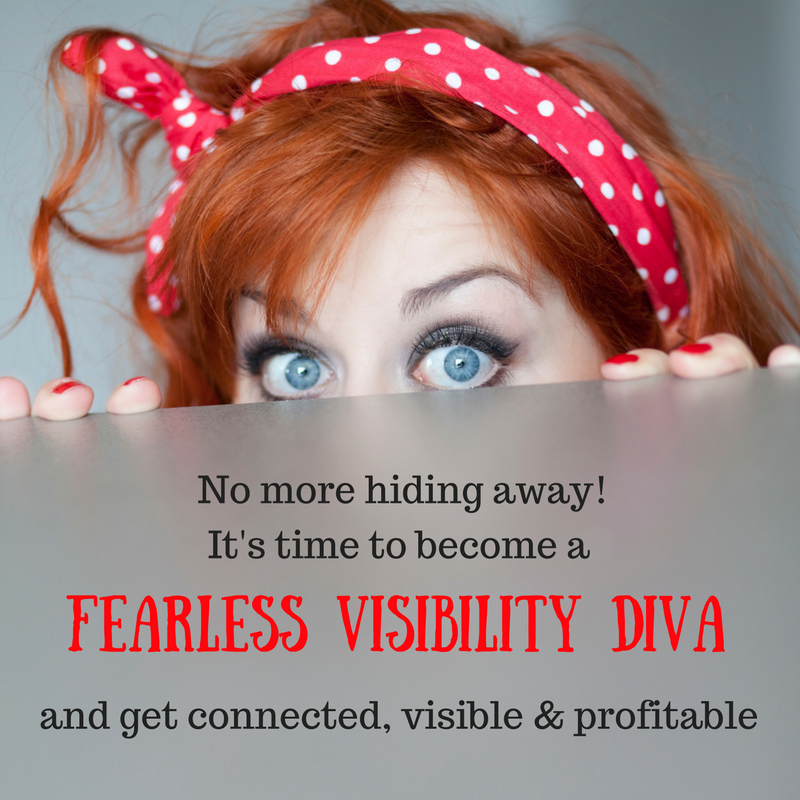 The good news is that I’ve created a fabulous programme called Fearless Visibility Diva which is going to help you to stop hiding away, get connected, visible and PROFITABLE. Move over fear gremlins! I’m here to help YOU kick all of those fears and doubts to the kerb, teach you how to get comfortable being visible, and create momentum that’s going to fast forward your business with a bang. You’re going to be learning lots of new mindset tools and fear busting strategies, PLUS taking fabulous action on your business so that you can have your tribe ready for you. When you call your tribe into you it means you have a fabulous group of people that can convert into paying clients. People that know you well, love what you do, and want to buy from you! The focus is on the mindset side of things, but I know that we can all do the personal development work and not take action, which is why action is also a big part of the programme. If you’ve already got things in place, then great. You can just focus more on releasing more of the fear that’s holding you back. Module 1: We’ll be talking about fear and worry, you’ll be busting some fears and setting a powerful business owner mindset. You’ll get some additional clarity around your ‘dreamies’ (fabulous dream clients) and set some amazing intentions for the upcoming weeks. Module 2: We’ll be working more on self-doubt, so you’ll be taking some imperfect action and creating some ideas around one particular service you want to offer the following week. You’ll have a fabulous exercise to help you overcome any obstacles that are standing in your way. Module 3: You’ll be creating some simple habits to set you up for success. I’ll teach you a client attraction strategy that’s going to bring a stream of clients your way, and we’ll be working on how to hold conversations with people in a non-icky, non-salesy way, so that you can start bringing some lovely money into your business. Module 4: We’ll be talking about how groups can be a super powerful source of potential clients and how to use your story to share ideas, to inspire and motivate others to want to work with you. We’ll be uncovering some of the fears that come up when we think about connecting with people, and setting some gorgeous boundaries. Module 5: We’ll be adding some new tools that will help you to ditch procrastination, and start pulling together a new freebie that’s going to make people want to sign up to your amazing list, and learn more about you and what you do. Module 6: We’ll be wrapping up all of the work we’ve done in a beautiful and luscious big bow so that you have not only a solid mindset practice but also a visibility plan so that all guess work is removed. You will know exactly what you’re doing and when, and have a strategy in place to make you MORE PROFITABLE. We’ll have the Facebook group where I will be there to inspire and motivate you as you work through busting those fears, and also to hold you accountable. I’ve helped loads of people like you to work on their mindset, and I do daily mindset work myself, to keep that business momentum going. Fearless Visibility Diva gives you a balanced and realistic shot at being super comfortable at being visible in your business, and no matter where you are on your business journey, you’ll be armed with tools and strategies that are going to make a huge difference to how you feel and show up in your business. Remember, this is all about working on those fears, so that nothing holds you back in your business. Wouldn’t it be fabulous to attract your ideal clients day in day out, and make oodles of money from your service-based business? The programme is a 6-week self-study programme so you can take it at your own pace. You’ll get videos, mp3’s and worksheets to help you overcome your mindset blocks. In each module, you’ll have a range of tools to choose from. You get to to choose what tools and strategies work best for you, and you’ll also have a business element to the modules too. I’m always told that I over-deliver. The truth is this could be a £1k programme. You’ll have valuable tools, plus the shifts that you’ll make in your mindset if you take continuous action could be priceless, however, I wanted to create something that was affordable for everyone. I get it that not everyone can work with me 1:1. I also know that sick to the pit of your tummy feeling when you know you have to step up and take action, but find it too hard to do it on your own. I’d have loved somebody around to hold my hand like this in the early days. Because you already know how much valuable content I share, then you might not be surprised that this fabulous fear busting programme is at a super duper price point of just £497. 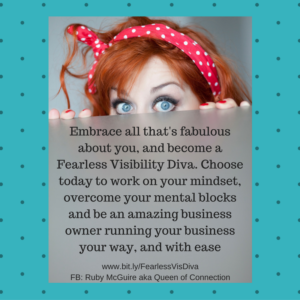 So, are you ready to be a Fearless Visibility Diva? Let’s do this! Want to spread the cost? No problem! You can pay in two instalments of £275, just click below and the magic will happen!